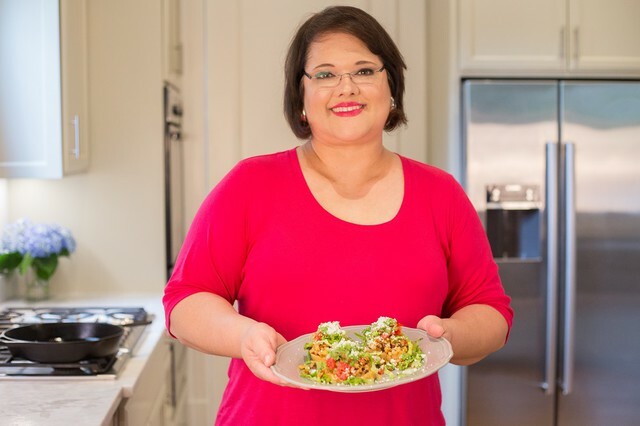 "Pupusas are Salvadorian masa cakes that are deliciously stuffed with wonderful fillings such as cheese, beans, or pork" says Sandra Gutierrez. They're typically served with zesty tomato sauce or salsa, and a cabbage slaw known as curtido, which is lightly fermented like kimchi or sauerkraut. The process starts by making a dough out of masa harina (the same ground, nixtamalized cornmeal used to make tortillas, among other things), water and a pinch of salt. Then, you take bits of that dough, fold in your cheeses, roll them into a ball, and flatten them into stout discs. The best thing about pupusas (other than eating them, of course) is how versatile they are. You can fill them with pork or chicken, refried beans, cheese, veggies.... really, anything savory and well-seasoned will do. Plant-based diners are welcome to the party too, as things like crumbled tofu, tempeh and seitan chorizo slide into the filling just as deliciously as anything else (perhaps enough to fool omnivores!). The traditional curtido is flexible, too; a quick cabbage slaw or salsa will mimic the tangy, bright notes you crave to compliment savory pupusas. Are they as tasty as they sound? Oh yes! 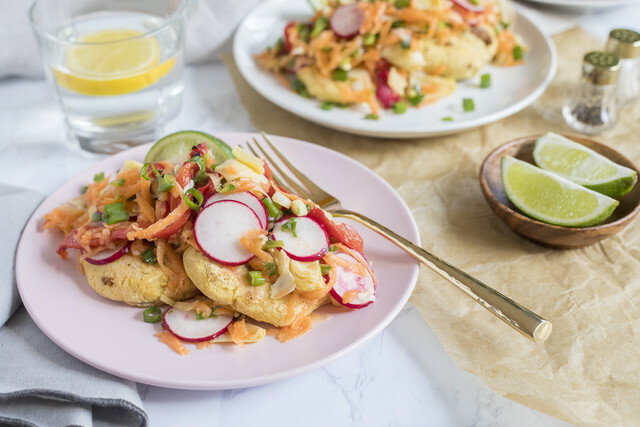 As Sandra puts it, "Each bite of pupusas offers such a sensory explosion of creamy cheese, toothsome masa, and crunchy cabbage slaw that you'll feel satisfied and re-energized."